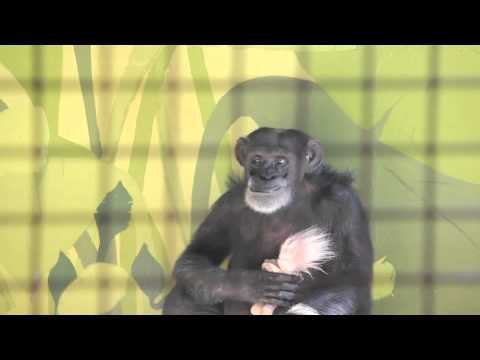 That is Foxie, a lovely chimpanzee. She become a mommy giving birth to four little babies, two being a set of twins. However, every time her little monkeys were simply taken away from her just right after they were born. That is very sad, isn’t it? Foxie's fate is not that different as well. She was also born into a lonely existence and taken away from her mom in August of 1976. The poor creature then became subjected to laboratory research for hepatitis vaccines. Then she was forced to produce more chimpanzees for the purposes of research. Unfortunately, she was never allowed to raise and take care of them herself. Foxie retired back in 2008, and then she was sent to the Chimpanzee Sanctuary Northwest. The person who took care of her then warned the people in the sanctuary that Foxie couldn't be trusted and would be very rough in case people come too close to her. "As Foxie arrived at the sanctuary, she was feeling scared around humans and was very cautious about her surroundings," said Diana Goodrich from the Chimpanzee Sanctuary Northwest. 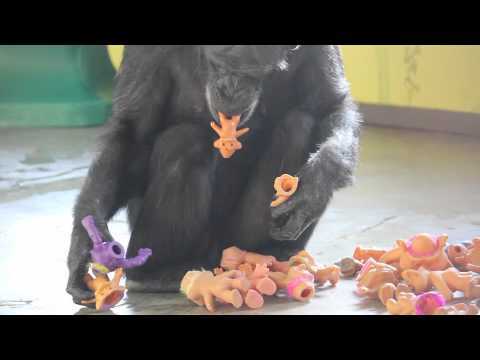 "The chimp would not play with or even touch the toys we usually give the chimps." After a while she decided to adopt a troll doll. So, the very first troll doll she took was the one with bright pink hair. That was back in 2008 and since that time, she has adopted many more. Since that moment Foxie and her troll dolls have been inseparable. "Foxie does carry the dolls on her back just like a chimpanzee mom would definitely do with her babies," said Goodrich. "Thus if you see a hint of troll hair on the back of Foxie, then she's walking around. But after all years of deprivation, she has something that is only hers," comment people on Facebook. On Internet people often ask "Does Foxie have enough trolls and should it possible for us to send her one? I collect them and thus I have many." The truth is she has hundreds but she's always excited to get a new one!